FREE SPACE RENT FOR 1 YEAR!!! Living Area 1,614 Sq. ft. HUGE PRICE REDUCTION. 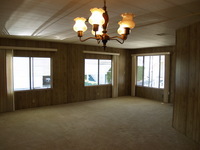 SELLER WILL PAY FOR BUYER'S SPACE RENT FOR SIX MONTHS!!! 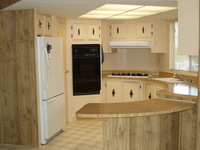 Large living room and dining area, wonderful family room is open to pristine kitchen and large covered veranda. 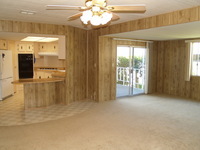 Great master suite and nice size 2nd bedroom & bath. Exterior painted mid-2006 and looks like new! Empty Nester? Ready to downsize? Forget that big house. Palos Verdes Shores is like resort living at its best . . . Welcome to PARADISE! 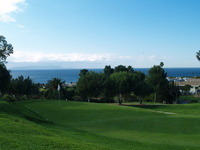 Palos Verdes Shores is one of the most luxurious communities of its type in the United States. Voted National Community of the Year, Unsurpassed Palos Verdes Peninsula Location, Incredible Recreational Facilities, Stunning Views and Ocean Air Environment. Within the community, there is a private 9-hole executive golf course, (NO GREEN FEES EVER) lighted tennis courts, paddle tennis court, large recreational/entertainment centers, shuffleboard, billiards, heated swimming pool, outdoor kitchen, indoor spa, sauna, exercise & fitness facility. 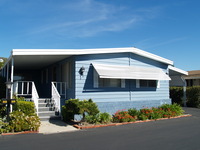 A very active social club organize wonderful day trips throughout Southern California. Palos Verdes Shores is "pet-friendly" and even has a wonderful leash-free dog park! 24-hour gated & guarded acess.